PRETORIA, South Africa, 18 May 2018 – Ford Motor Company of Southern Africa will be launching an even more capable Ford Ranger when production commences for the refreshed new model scheduled for launch in 2019. Following the investment of R3-billion at its local operations, the updated Ranger will be assembled at Ford’s Silverton Assembly Plant in Pretoria, with engines produced by the Struandale Engine Plant in Port Elizabeth. “Ford’s recent investment has been geared towards expanding our local production capacity and preparing for the updated Ranger, including the first-ever Ford Ranger Raptor,” said Ockert Berry, Vice President Operations, Ford Middle East and Africa. 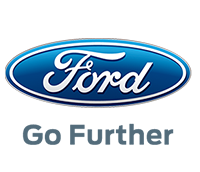 “Once again, this reaffirms Ford’s long-term commitment to the region, as well as to our employees, suppliers and partners. It also acknowledges the confidence that Ford has in our local operations to produce truly world-class products for domestic sales and an extensive list of export markets,” Berry added. The refreshed Ranger line-up, which will continue to be exported from South Africa to over 148 markets in Europe, the Middle East and Africa, combines exceptional levels of technology, safety and convenience features. Building on the Ranger’s “Built Ford Tough” heritage, the latest model is destined to further expand the capabilities and proven off-road credentials that have contributed to the Ranger becoming one of South Africa’s top-selling vehicles overall, and in the light commercial segment. With common-rail direct fuel injection, an integrated intake manifold, and a belt-in-oil primary drive, the Bi-Turbo is compact, lightweight, powerful and efficient. It takes advantage of sequential turbocharging to deliver greater responsiveness, drivability and maximum efficiency. The sophisticated Bi-Turbo diesel engine is coupled to an advanced 10-speed torque-convertor automatic to bring greater torque, improved flexibility and a quieter, more comfortable drive. With 500Nm from a low 1 750 r/min, the Bi-Turbo delivers a greater torque spread, with the 10-speed’s close ratios reducing gaps in power and acceleration to confidently conquer all types of terrain, while maintaining the Ranger’s exceptional payload and 3 500kg towing capability. Rugged good looks define the current generation of the Ford Ranger, and the refreshed model for 2019 sees styling changes that further enhance the off-road stance and visual appeal. Led by a cleaner new grille which features the distinctive ‘nostrils’ and a more distinctively chiselled lower bumper with broader intake, it offers a more dynamic look. There will also be a clearer distinction between models visually, with bumper treatments and colours reflecting the unique character of each model – whether a hard-working Ranger XL, or a go-anywhere Wildtrak. Already at the forefront of its segment in terms of advanced technologies for driving, safety, convenience and entertainment, the updated Ranger will raise the stakes even further. Ford’s Pre-Collision Assist using Inter-Urban Autonomous Emergency Braking (AEB) with Vehicle Detection and Pedestrian Detection will be introduced on selected Ranger models in 2019. The system is designed to detect pedestrians as well as vehicles and to bring Ranger to a complete stop, to help mitigate rear-end collisions and road-traffic collisions with pedestrians at speeds above 3.6km/h. This will be complemented by Passive Entry Passive Start (PEPS) keyless entry and push-button start. The Ranger’s easy-to-live-with features will also now include Active Park Assist (APA) on the range-topping derivatives, reducing stress by enabling semi-automatic parallel parking. Loading will be made far easier with the introduction of an easy-lift tailgate on all pick-up models. With a new internal mechanism, the Ranger’s tailgate is lighter to lift, with a 70-percent reduction in initial force required to raise it for closing. For 2019, the Ranger’s suspension has been upgraded across the range to reduce and better control roll, with an emphasis on improving the driving experience when fully-laden and towing. New packaging also enables geometry changes that bring improved ride, a reduction in body roll as well as improved steering precision. Crucially, while improving the drive and refinement, the suspension changes do not impact on Ranger’s exceptional towing and payload capabilities. More details, including specifications, model range and pricing, will be released closer to launch.